It is time for the second major of the year, the 2018 renewal of the U.S. Open. A field that boasts all of the world’s top players, with no injury issues keeping anyone out, it is certainly going to be a spectacle in New York. The U.S. Open is always expected to be one of the toughest events of the year, and vyes with the Open Championship as the toughest of the majors. It is always course and weather dependent as to what sort of score is required in this event, but the players will have to expect a tough test here at Shinnecock Hills. Dustin Johnson will once again go into major week as the World’s No.1 player after his win at the St.Jude Classic saw him reclaim the spot from fellow American, Justin Thomas. Since the inception of the OWGR in 1986, only Tiger Woods (three times) has gone into U.S. Open week as the World No.1 and won the event. Also, no player has ever won the week before a U.S. Open and then gone on to win the year’s second major, Arnold Palmer going the closest to do so in 1963 when 2nd at Brookline. This is a slightly skewed stat, as not everyone plays the week before the major, and especially since 2000 only Johnson, Brooks Koepka and Geoff Ogilvy have won here after playing the week before. Neither of these facts will bother Dustin, who is as nonchalant and they come, and he is the worthy favourite this week. Known for being the first real “links test” on American soil, Shinnecock Hills will provide a test similar to that of the Open Championship, should the rain stay away this week. The fairways, whilst fairly generous this week, for a U.S. Open at least, will still need hitting and those that can hit it long and straight will be at a distinct advantage this week. For that stat, Total Driving and SG: Off-the-Tee are both worth a good look ahead of this year’s test. Weather will certainly play a part this week, with the level of wind a huge factor in the winning score. With no trees for protection, players will be exposed to the elements this week, which the USGA will pray works in their favour here. A load of rain and a soft course will make it a lot easier task for players and very difficult for the USGA to toughen, but the forecast suggests it will remain dry, so we may get a winning score around par, which is always the target here. The greens here are relatively small and well protected so players will need to be accurate with their shots in, especially with mid-to-long irons in their hands. With seven par-4’s over 450 yards and two par-5’s over 600 yards, good long approaches are going to be as important, if not more than ever. Poa Annua surfaces are not for everyone, due to their unpredictability, so whilst putting isn’t going to be the key stat this week, it is worth bearing in mind, especially if one of your potential picks has shown a disliking for the surface in the past. It’s a pretty simple formula here at the U.S. Open, drive it well, hit the approaches better than everyone else and have an above average short game to save par when the inevitable mistakes happen across the week. 6 of the last 10 U.S. Open winners have won in the same calendar year of their U.S. Open win. 10 of the last 10 U.S. winners have finished 3rd or better in a PGA Tour event in the same calendar year of their U.S. Open win. 6 of the last 10 U.S Open winners had multiple top-5’s in previous majors, the four that hadn’t (Graeme McDowell, Lucas Glover, Martin Kaymer and Webb Simpson) didn’t even have one. 6 of the last 10 U.S Open winners had a top-10 finish or better in the U.S. Open before they won their first. Due to its length, links feel and Poa Annua greens, Pebble Beach looks a good indicator as to who may prosper here. Phil Mickelson who finished 4th here at Shinnecock Hills in 1995 and 2nd in 2004, is a four-time winner of the Pebble Beach Pro-Am and the 2004 champion, Retief Goosen also finished 3rd at the Pro-Am in 2009. Both men also have top-12 finishes at U.S. Open’s held at Pebble, with Mickelson finishing T4 in 2010 and Goosen finishing T12 in 2000. If you’re looking for a player built for a U.S. Open, Justin Rose wouldn’t be far away from the perfect example. Between the ears there are not many better players on Tour and his excellent mentality helped him get over the line in the 2013 renewal of this event at Merion, to win his first and only major to date. It seems inevitable that the now World No.3 will win a major again, and given his current form, a second U.S. Open doesn’t look far from his grasp. With two wins already this season, the most recent coming at the Fort Worth Invitational three weeks ago, the Englishman comes in with great form behind him. Rose followed his win in Fort Worth with a T6 finish at the Memorial last time out, which takes his top-10 tally outside of his two wins, to six for the season, a stunning level of consistency. He has in fact only finished outside the top-23 twice this season (T37 in Mexico, T52 Houston Open) and even without his best stuff at Augusta, managed a T12 finish in the first major of the year, highlighting his grittiness. It’s more than just a strong mentality that Rose owes his form to, as he ranks highly in Total Driving (5th), SG: Tee-to-Green (8th), SG Off-The-Tee (17th) and SG: Approach (27th), all vital areas this week. Rose’s short game is also in fine shape, ranking 10th in SG: Putting and 15th in SG: Around-the-Green, so that will hopefully remain rock solid this week. According to futureoffantasy.com, Rose ranks 9th in performance on Poa Annua greens since 2014, so the putting surfaces here shouldn’t phase him. Rose also ranks 4th in the All-Around Ranking on the PGA Tour, a stat aligns strongly with winning this championship. This just shows how well rounded his game is at the moment, which is how he is keeping up such a high level of consistency. In an era where American golfers have been dominating, Rose has been bravely waving the flag for English golf, even if his win tally still doesn’t quite match his golfing ability. A player of his stature should and really could have multiple major wins on his resume, with two near-misses in the Masters alongside his 2013 U.S. Open victory and more PGA Tour victories will hopefully follow in the coming years. 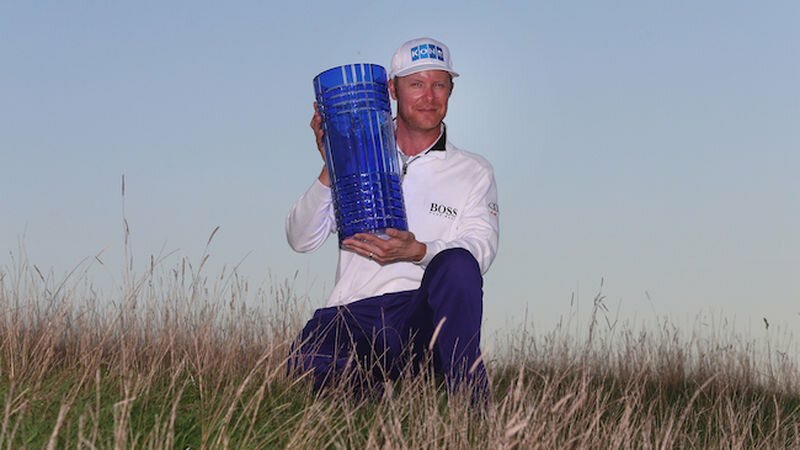 Now, with the likes of Tommy Fleetwood and Tyrrell Hatton coming through, as well as the revival of both Paul Casey and Ian Poulter, English golf looks in a great spot, so now is the time for these players to etch their names on the world’s biggest trophies and Rose spearheads this strong group. His ability and mentality is ideal in a U.S. Open, he is playing great and he’s a past winner of the event, so there’s every reason to expect Rose to win his second major title. At 16/1 he’s far from the biggest price, but there are still a few shorter than Rose, who is still at this stage perhaps a little bit underrated by the market. Mickelson is not ready to let Father Time catch up with him just yet, and a win at the WGC Mexico in March was his 49th PGA Tour win and a statement to the rest of the Tour that he’s not done yet. Another five top-6 finishes this season confirm that week in Mexico was more than just luck and he is playing at a very high level once again. This is one major that has always eluded Lefty, with six runner-up finishes at the U.S. Open to his name. To say he is desperate to complete the Grand Slam with a win in this event would be an understatement, and his chances are consistently dwindling away, but this week presents him with perhaps his most realistic chance of doing so before it is too late. Mickelson has previous not only in this event, but at this course, finishing T4 in 1995 and 2nd in 2004, so whilst the course has changed since, their hasn’t been a complete overhaul here and his course experience, that not many others in the field cannot boast, may count for plenty. At 35/1 Mickelson may look on the short side, given the strength of those at the top of the market, but he is playing close to his best and will no doubt be keen to prove he still has major championship credentials. Another bonus snippet of information, according to futureoffantasy.com, Mickelson is the 7th best performer on Poa Annua greens since 2014. Will the U.S. Open continue to evade one of the game’s greatest players? No one can be sure. What is for sure though, is that all the time his body allows, Mickelson will fight with every inch to win this event and this may be his last best shot at doing so. The New York fans, known for their rowdiness will always back Mickelson and you know full well he will have a huge gallery cheering him on blow-by-blow if he’s close come Sunday evening. Mickelson always likes to play the week before a major, in the hope of building momentum and he did just that at the St.Jude Classic last week. A final-round 65 at TPC Southwind was a great way to prepare for the week ahead and per the tweet below, it should give extra reason for optimism. Phil Mickelson posted a 65 in last round before Shinnecock, looking at another top-20. Branden Grace broke major history when he shot a 62 in last year’s Open Championship at Royal Birkdale. This is the lowest round of golf in any of the four majors, and given his recent record in this event he cannot he ignored for the week ahead. A fine links exponent, Grace will favour a test that is similar to that of an Open Championship, and he could yet better the two top-5 finishes he has in this event over the last three years. Grace doesn’t particularly stand out statistically, due to his in and out form, but ranks solidly in SG: Putting (15th) and SG: Around-the-Green (34th). On top of this Grace, like Rose and Mickelson also ranks inside the top-25 performers on Poa Annua greens since 2014, sitting 19th on the list. The South African went closest in this event at Chambers Bay in 2015 but Shinnecock Hills looks as good a course he can hope for in this event and given his recent form, he will be very optimistic about his chances. In 13 events in 2017, Grace has garnered three top-5’s, two of which have come in his last three events so he has peaked at the very best time. After winning the Nedbank at the tail-end of 2017, Grace will be keen to get back to winning ways in 2018, after being denied a second win this season, at his home Open. Chris Paisley trumped Grace in the BMW SA open, but had to put performance to do so. This would of course be the biggest victory of his career but he has shown signs of being ready to win a major, especially in this event and there is every chance, given his effort in recent weeks, that he can win that first major championship he is continually touted for. Grace has long been on the periphery of elite status, and if he can follow in the footsteps of his major-winning compatriots, Charl Schwartzel and Louis Oosthuizen and to a larger extent, Ernie Els and Retief Goosen he could easily kick on and put himself amongst the exclusive group of elite talent in world golf. Tommy Fleetwood has continued to develop over the last 18 months and his rise in the world of golf has been nothing short of meteoric in that time. He has contended at all levels of the game now, including a top-5 finish in this event last year. Now, to completely validate his claim as one of the best in the world, he will want to win a major championship. A long, straight driver of the ball, there is no reason to doubt his credentials in this event, especially on a course that is expected to play like a British links course, should the weather remain as forecasted. Whilst his form has petered our slightly recently, he did finish inside the top-23 at both Wentworth and the Italian Open and four rounds in the 60’s in Italy suggest he’s prepared well for this week. On further inspection, it was only a third-round 77 at Wentworth that cost him a much better showing, so if he can keep mistakes to a minimum this week, which is always important in this event, he will surely contend. After finishing T4 at Erin Hills in 2017, Fleetwood will look to go even better at Shinnecock Hills, which on initial inspection looks to play to Fleetwood’s strengths. Fleetwood ranks 1st in Total Driving, 9th in SG: Off-the-Tee, 12th in SG: Tee-to-Green and 13th in SG: Total, so he should revel in this test. Ranking 5th in All-Around Ranking proves his game is very much where it needs to be to win this championship and he will go into the week full of confidence, knowing he can match the world’s best these days. At 50/1 and similar he looks plenty value to go ahead and get the biggest win of his career, one his level of play now deserves. You will notice a lack of outsiders this week, but that is due to the fact that none of the last six winners have been bigger than 50/1, with this being an event that normally goes to those in form or at least rank amongst the elite in terms of stature.